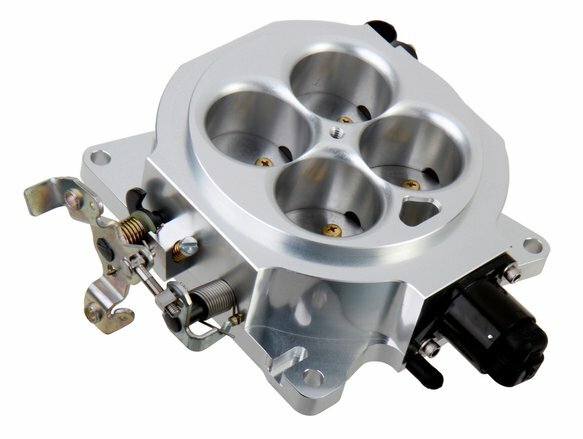 If you're thinking of building either a high performance or race multi–point fuel Injection system for your engine, look no further than Holley for the throttle body. 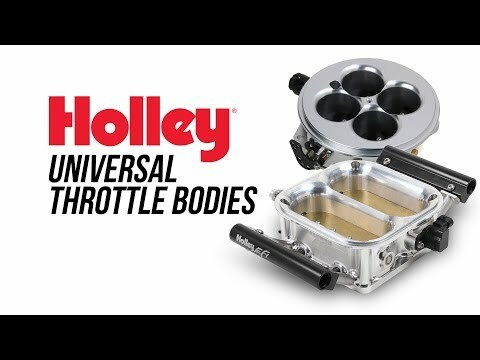 Holley offers a line of universal throttle bodies that range in sizes from 1000 CFM to 2000 CFM and are available with standard square bore or DOMINATOR® flanges. These billet beauties will provide all the air your motor can ingest. Sporting premium design features that enhance their ruggedness and durability, Holley performance throttle bodies are built to take the most severe usage. They'll look great as well — sitting on top of your street rod or street/strip engine. They have the looks to go with the brawn!